Ladies and gentlemen, it’s Loot Crate time again. April’s theme was “Investigate” and…well, the items definitely fit the theme. They also illustrate one of the challenges I face every month when reviewing these boxes: sometimes the items are good, but they’re based on a property that doesn’t really interest me. As we’ll see when I get into the details, April was disappointing for me, but might be awesome for you. As I’ve said before, I love the Q-Figs. While Funko Pop figures are the ones I largely collect, I appreciate the added details and posing of the Q-Figs. So I’m generally happy when Loot Crate includes them. Unfortunately, though, I don’t really have any interest in this character. It’s a real shame, because it is quite a nice figure. But given that the character has a pretty basic appearance, unless you’re already a fan of the character or the show, there’s not much appeal. 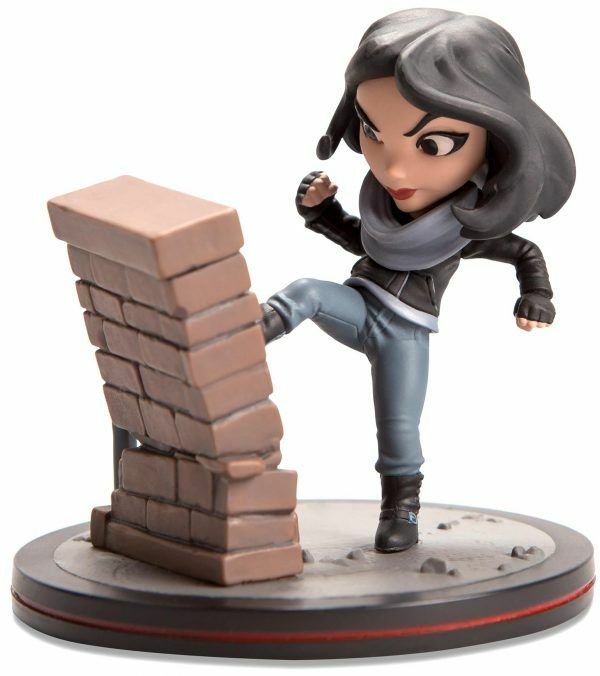 While I recognize that Loot Crate will always include items based on things that don’t interest me, this seems like a particularly strange choice, because while the show is somewhat successful, Jessica Jones is still a relatively unknown character compared with the ones we’ve previously seen in Q-Fig form. I guess it’s nice for fans, but it seems like a choice that’s destined to disappoint many (if not most) of their subscribers. I doubt it’s a coincidence that this is our second item based on a Netflix show, but I’ll judge it on its own merits regardless. Once again, it’s a nice product, but I have no personal interest in the property. As such, I can’t really say how well it represents the show and whether they chose the right characters and designs for it. From an outside perspective though, I do think it’s a pretty cool design. The colors and layout remind me of an old movie poster, and I like the limited palette used for the background. My only real complaint, besides the choice of property, is that it’s yet another black t-shirt. I have more than enough of those, and I think that goes for every Loot Crate subscriber. Have you ever seen those commercials for dolls or toy cars that change color when you dip them in warm water? This is basically a mug that works to the same effect. 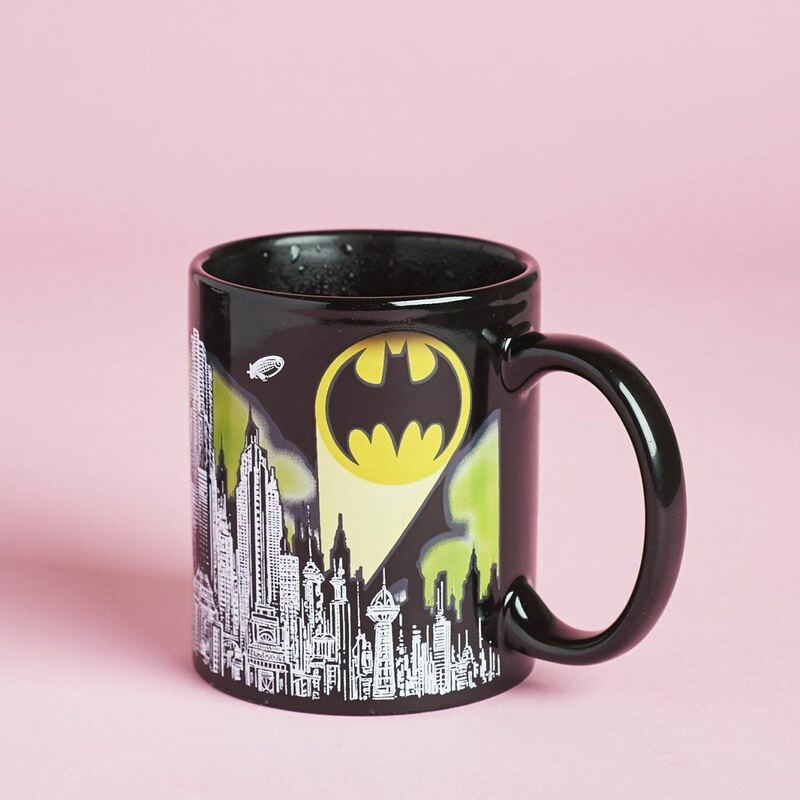 Empty, the black mug displays a black and white city skyline. But when you add hot water, a green cloud of some sort and a yellow Bat Signal are revealed. If it works as well as it claims to, it’s pretty nifty as mugs go. It’s certainly the most interesting mug I’ve ever seen, especially given that it manages to be cool without being weirdly shaped. I have a mug based on Link’s shield from Wind Waker; it looks cool, but it’s also square-shaped, which makes it hard to use. This is probably the one item in April’s crate that I actually like. That being said, we just had a Batman-themed kitchen item in February, so it would have been nice to have a bit more variety. I’m not entirely sure how to approach this item. I’m trying to wrap my head around it. Why would anyone at Fox or Loot Crate think this would be a good idea? Who is the audience for this? And who even uses non-mechanical pencils these days? If it isn’t clear, these are just four regular yellow pencils, with phrases from the show written on them. Without that little bit of text, they’re the same as any pencil you might find in a classroom. And given that sharpening will eat away at the words, that doesn’t change much. 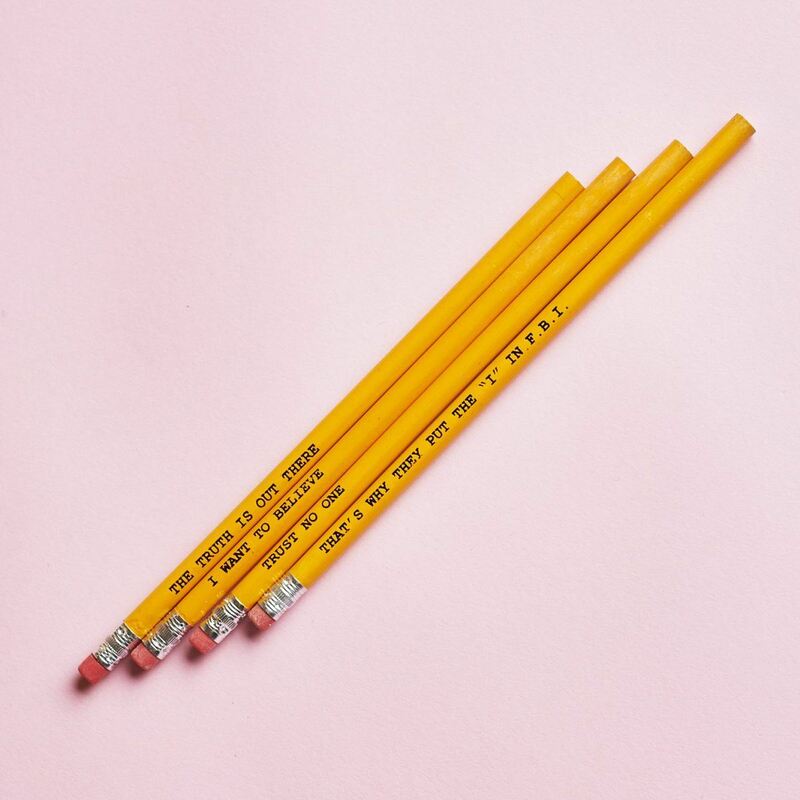 On Amazon, you can get 96 of these basic pencils for $8. Even if you’re the biggest X-Files fan in the world, I can’t see the appeal of these pencils. The only good thing I can say is that at least Loot Crate included a cheap pencil sharpener to go with them. 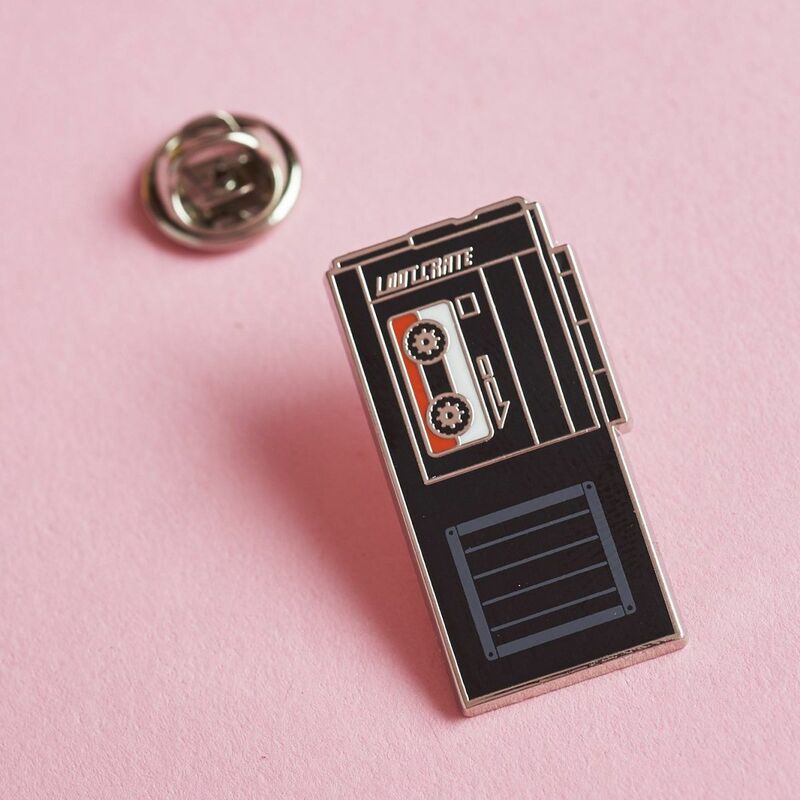 Loot Crate has gone back to making their pins more generic and Loot Crate branded, it seems, rather than continuing with the franchise-based pins they had been including previously. I hope it isn’t a permanent change; I liked those better. But this one isn’t bad at all. It’s meant to look like an old fashioned dictation machine, complete with a cassette tape. It’s very retro, and it fits the theme of the month well. Nothing says “investigate” like the image of a detective whispering notes to herself. The big Loot Crate logo is an unfortunate choice, especially since it’s the old logo, but it’s basic enough that you can look past it. As is usually the case, the digital content this time around is comics. This time, specifically X-Files comics. Like I said, I’m not a fan of the show, but I do appreciate the regular inclusion of digital comics. 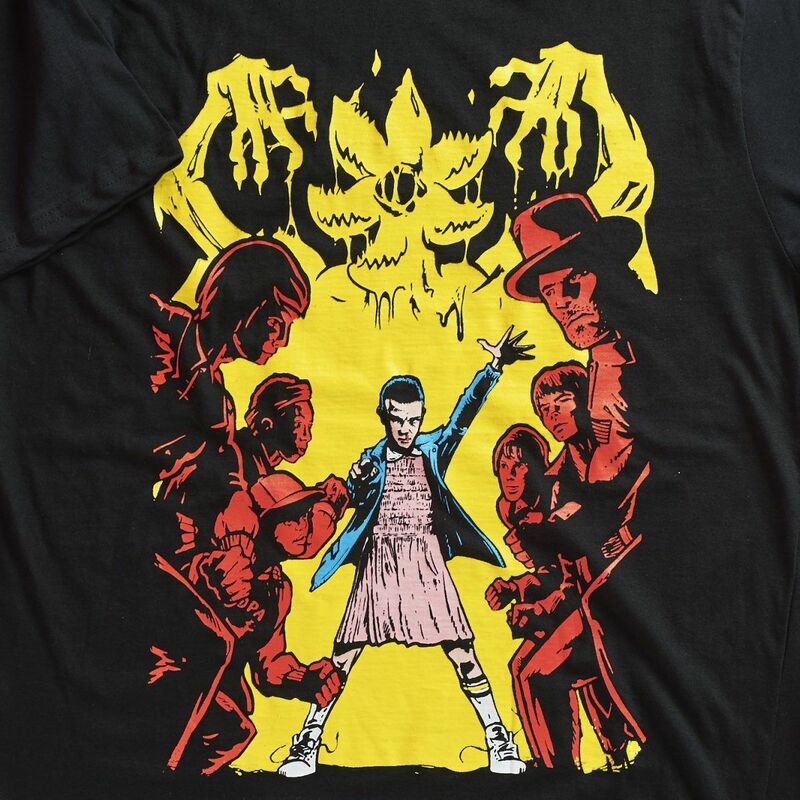 So I guess this is like the figure and the shirt: cool, just not based on something I like. For me personally, the April Loot Crate was a massive disappointment. The only item that even remotely interests me is the mug. The items are all OK outside of the pencils, but they don’t reflect anything I’m interested in. Having said that, even trying to take an objective eye to it, I find April’s crate a bit disappointing. Q-Figs are nice, but I wish they went with a more popular and well known character. The shirt is cool too, even though it’s not my cup of tea. I do like the mug, no question. But I’m still baffled on the pencils. Overall, while it’s far from the worst Loot Crate in general, it’s probably the worst one yet for me personally. For the average subscriber, I’d call it an average crate. Q-Figs are always nice, after all. But seriously, guys, what’s with the pencils?